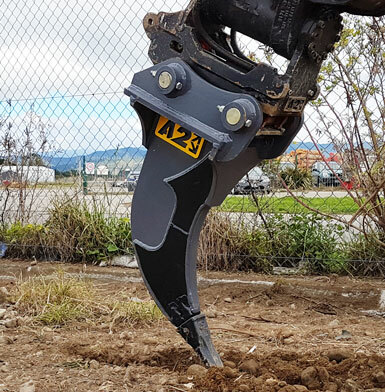 Our excellent heavy-duty ripper has great ripping capabilities and is an essential attachment for removing difficult obstacles from the ground, including rocks, roots and many other obstructions. BIS400 side wear plates to reduce wear to the ripper ensuring it lasts the test of time. 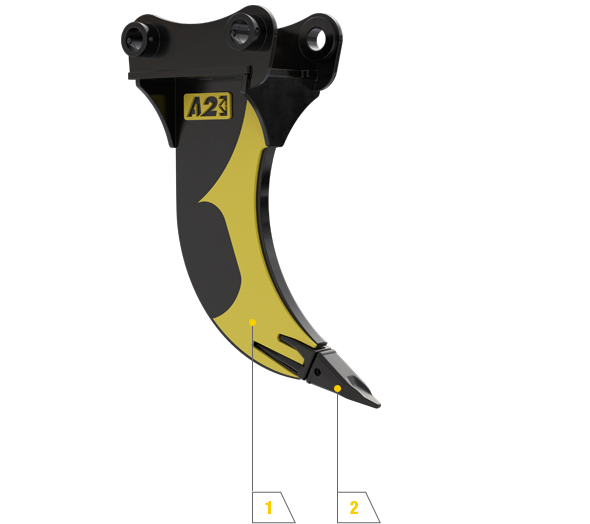 Fitted as standard with heavy-duty replaceable CAT J series tooth to ensure the best results and as little wear as possible. A great curve to the ripper shank ensures greater breakout force.